Located in the heart of Western Ghats in the peninsular India, Periyar National Park is one of the most crowd-pulling wildlife sanctuaries. Dense forests, lake and an enchanting variety of animals, birds and reptiles made it a gateway for animal and nature lovers. A large herd of elephant is the main attraction. Owing to the large inflow of tourists, there are wide ranges of wildlife resorts that are conveniently located in and around the park. 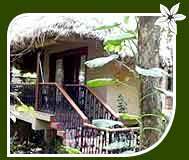 Spice Village is one of the fines wildlife resorts of Periyar offering invigorating stay to the world renowned wildlife Periyar National Park. Located in backdrop of Cardamom hills of Kerala, this jungle resort offers you to explore the bewitching natural beauty and exotic wildlife population. Enjoy world class comforts in the lap of nature. The Spice Village Hotel has 52 exotic huts and 5 suites that are designed on tribal style and reflect a complete ethnic decor. Here, you are offered all kind of contemporary amenities and comforts including attractive recreational options like water safari, boating, forest trekking, sightseeing etc. All rooms are equipped with 24 hour hot and cold water, room services, swimming pool, multi cuisine restaurant and bar. Hotels also provide Ayurveda treatments-an option to rejuvenate soul mind and body. Taj Garden Retreat is a celebrated five-star resort located in close proximity to the Periyar Tiger Reserve. It offers a complete rustic and beautiful setting with its 3 acres landscape covered with exotic and beautiful coffee, spices and fruit plantations. The resort promises a happy and luxurious accommodation to the visitors to the reserve. The retreat has 32 air-conditioned cottage-styled rooms. All rooms are equipped with all modern facilities like attached baths with hot and cold running water, color televisions with cable connection, direct dialing facilities, music channels, a swimming pool, Ayurvedic centre, boat cruises to Lake Periyar, tours to the spice plantation gardens and money exchange facilities etc. There is a multi-cuisine restaurant serving a variety of cuisines from Indian to Continental and Chinese. Only resort in India located in the heart of a game reserve forest, Aranya Niwas is a beautiful place to stay in the heart of Periyar National Park. Originally, the property is located on the bank of lake in the forest, which offers the view of herd of elephants and other animals lazing all around the lake. Designed in colonial style, Aranya Nivas promise you a lifetime experience. 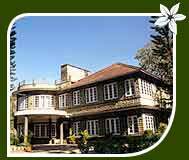 Aranya Niwas has elegantly designed 30 rooms and suits with the facilities like 24 hour room service, colour TV/Satellite channels/in-house movies, telephone, multi-cuisine restaurant, bar, laundry, doctor on call, currency exchange, travel assistance, car hire, handicrafts emporium, swimming pool, boat cruise on the Periyar Lake. 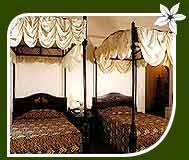 Lake Palace is a luxury heritage resort located in the scenic surroundings of Periyar National Park. An erstwhile regal summer palace, this resort offers world class facilities in a very peaceful and natural surrounding of the park. This perfect heaven is your ideal place to stay while you are on tour to the famed Periyar Park. Managed by KTDC, Lake Palace has 6 elegant and well furnished rooms with the facilities like 24 hour room service, attached bath, colour TV/Satellite channels/in-house movies and telephone. Other comforts offered at Lake Palace include multi cuisine restaurant, laundry, doctor on call, currency exchange, travel assistance, car hire, Ayurvedic massage and boat cruise on the Periyar lake. 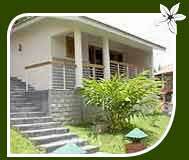 Cardamom County Plantation Theme Resort is an ideal place to stay. The resort in Cardamom County village is set up in a virtual green paradise. The hotels have a backdrop of lush-green covered mountains and forests with attractive options for recreations and enjoyments. Cardamom County Resort has 30 well-appointed cottages and suites with the private balconies and spacious bathrooms with bathtubs. All rooms have the facilities like satellite TV, telephone, mini refrigerator and complimentary mineral water among many others. It has a multi-cuisine restaurant offering south, north Indian and Continental cuisine. 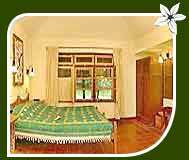 Other recreational facilities offered here include Ayurvedic treatments, cycling and mature safari.